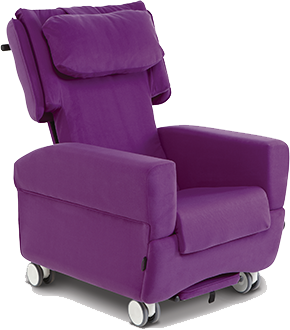 Every chair must be set-up to fit its user – supporting posture appropriately and ensuring maximum contact with the support surface to distribute weight evenly, whilst maintaining comfort and independence. Basic chair dimensions must be based on the user’s individual measurements. It is essential that the chair set-up is correct; if it is not then it can cause more harm than good. The way in which the chair is set-up influences positioning, which can consequently impact on the risk of secondary complications, including postural deterioration and pressure injury. Seat width adjustment helps to laterally stabilise the pelvis. Correct seat width can reduce the tendency for the user to lean or shuffle the pelvis. These undesirable movements can result in pelvic obliquity or pelvic rotation and the posture becoming increasingly unstable with unequal loading on tissues. Left unmanaged, this leaning posture could lead to the development of a scoliosis. A chair with the right seat depth ensures pelvic stability by supporting the pelvis posteriorly. Without posterior support, the pelvis can tilt backwards and encourage sacral sitting and a posterior pelvic tilt. 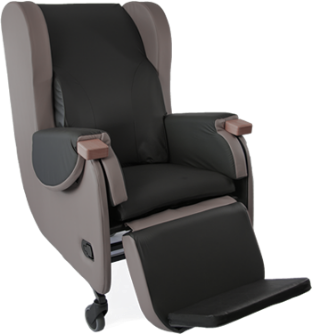 If the seat depth is too long, the user won’t be able to flex their knees over the seat edge so they will slide forward in the chair to allow knee flexion. 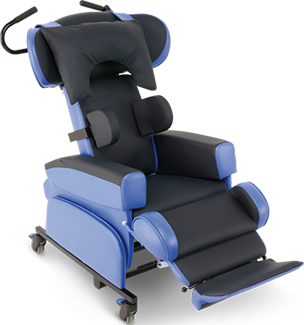 If the seat depth is too shallow the area over which body weight is distributed may be reduced, which increases the risk of pressure injury. 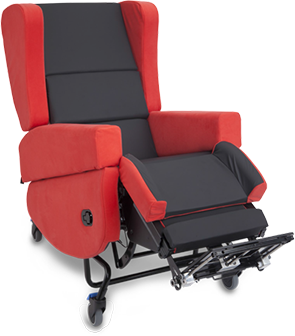 Seat height is important for maintaining independence and function if the user is ambulant or able to rise to standing for transfers. 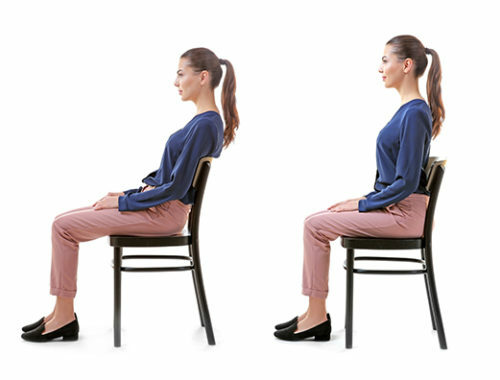 If the chair’s seat height is too high, the user will be unstable when they rise to standing or it will encourage posterior pelvic tilt as the user seeks foot support. If seat height is too low then they may not have adequate strength to complete a sit to stand. 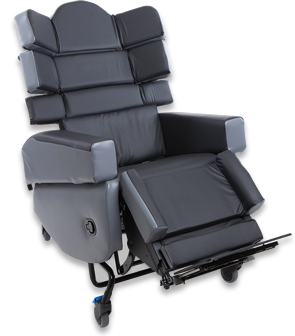 If the user is hoist transferred, then correct seat to foot rest height is needed to achieve adequate foot support, which is critical for pelvic and upper trunk stability. Arm height is important for users who can rise to standing by pushing up and out of the chair. It also encourages repositioning and enables optimum upper limb position for activities. Arm support can relieve tension in the neck muscles. It should not be used to achieve trunk alignment or control however. Read more on how to achieve a good sitting posture, and how our flexible and adjustable products can be tailored to the individual to ensure the correct chair set-up. 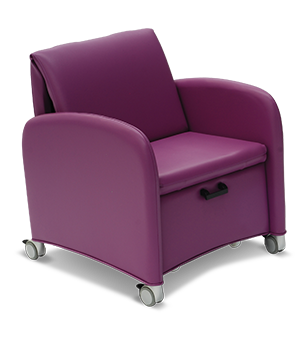 CareFlex also offer a tailored solutions service for when more bespoke seating solutions are indicated. 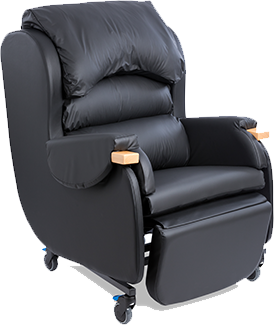 Upon delivery of a CareFlex chair, ideally with the support of a health and care professional, CareFlex will ensure it fits the user perfectly and operates as intended. What a difference a chair makes….